Leeson electric motors is one of the nation’s most trusted and respected providers of high-quality electrical drive systems for industrial uses. Leeson electric motors typically utilize a three-phase drive motor that greatly enhances productivity while reducing power usage. 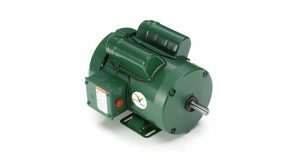 The three-phase drive motor makes these electric motors the best option in nearly any industrial application. They are highly efficient, produce a great amount of energy and power from a relatively small amount of electricity, and they are renowned for their long life, exceptional operating efficiency. Leeson electrical motors mostly utilize AC power to help ensure a worker’s safety, but many also utilize DC current when massive amounts of power are available. Arroyo Process Equipment’s team of electrical and mechanical engineers can determine the best motor type to accomplish virtually any task. Complementary gearboxes and other drive systems help to ensure the motor chosen will be the right one for the job to be done. Weg Motors is a top manufacturer of outstanding industrial electric-drive systems that are utilized in facilities around the world. Weg’s electrical drive systems are highly efficient and offer outstanding environmental protection by eliminating exhaust emissions and other potentially harmful substances. Combining Weg motors and drive systems with Leeson motors will allow your operations to be completed without high operating costs or the need to halt production due to mishaps and equipment failures. When it comes to ensuring your Leeson electric motors, Weg motors, Sharpe mixers and all other equipment in your facilities are installed properly and maintained on a regular schedule, Arroyo Process Equipment’s network of authorized distributers is available at any time to provide the services you need. Arroyo Process Equipment is headquartered in Bartow, FL, and also has locations in Miami, FL, Jacksonville, FL, and the Dominican Republic. We are one of the most respected and utilized providers of industrial pumping and processing equipment because of our first-in-class service and our five decades of experience. Contact us today to learn more about how partnering with Arroyo Process Equipment will benefit your facility.